Domino hobs are perfect for small spaces or combining cooking styles. Available in gas, solid electric plate, ceramic, induction or even as a ceramic griddle they are perfect for installing alongside one another to create a cooking zone that is exactly what you want. The electric, solid plate domino hob is solid in construction and designed with front control knobs and a residual heat indicator for practicality and safety. It is easily controllable and perfect for kitchens where space is at a premium. Some customers love this traditional style, and who are we to argue? There are 2 domino models in the gas range. The first is a single wok burner with a built-in support to hold this style of cookware safely. The single, front control knob is easy to use and features automatic ignition and a flame failure device for safety. This is ideal for kitchens with all glass, electric hob tops as it provides an extra, dramatic cooking station for Asian style cooking. The other option in this fuel type is a 2 zone gas on glass domino hob with 2 cast iron pan supports and 2 front control knobs. 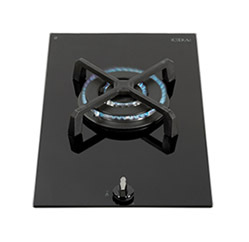 This is stylish gas cooking at its best, in just a 30cm wide space. There are domino options in ceramic and induction too with a dual zone ceramic option that features front touch control. The induction model also has 2 cooking zones and front touch control offering accurate and responsive cooking in a compact size. This would be an ideal option for professional studio flat living in the city or adding in an additional cooking style into an existing kitchen. Click here to read more on eddy currents, explanations on how induction cooking works and to read our ‘why buy’ guide. The most original of designs in the range is the 30cm wide ceramic griddle hob. This is a domino in size and design but features a front controlled, ridged ceramic griddle plate. This allows you to create griddled steaks, fish and vegetable kebabs in your kitchen, BBQ indoors, toast buns and bagels and really extend your cooking style. Domino hobs are designed to be installed easily, in smaller spaces, on island units and especially to be combined with one another. This allows you to create an entirely bespoke cooking area with gas, wok, induction, electric solid plate and ceramic cooking to suit you. We also do a domino joining strip that allows you to seamlessly combine the domino hobs, in your ideal configuration, into a bespoke hob top cooking unit. The AHJ30 joining strip compliments the rest of the range with a brushed steel finish and ideal width to suit the styling. You could even join a domino onto the end of your existing CDA hob, making your cooking space large and far more comprehensive. 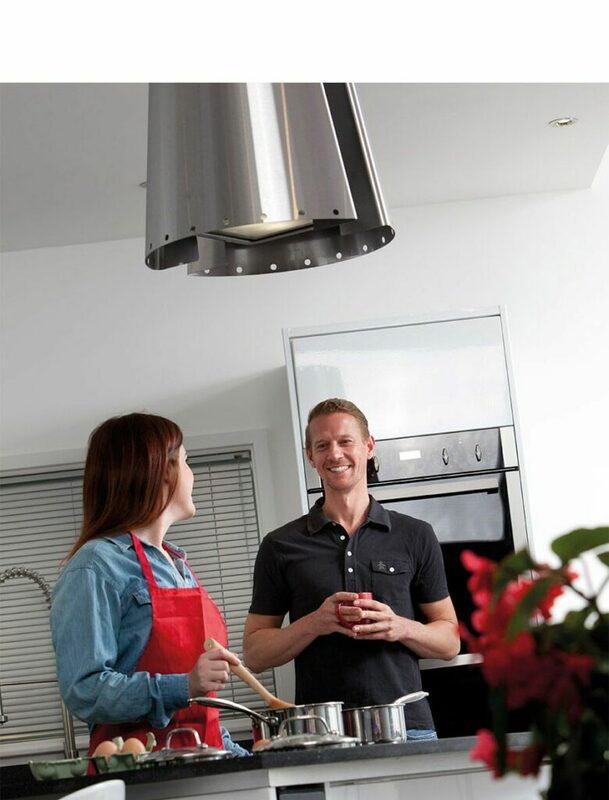 For more information on any of the cooking styles we have mentioned, visit our buying guide to compare gas and electric hobs, explore cooking styles and read our top tips on cleaning and maintenance.